The need for palliative care is rapidly increasing, as the aging population grows and people are living longer with chronic and/or serious illness. Previously focused on specialty care within the hospital or for patients in the last months of life through hospice, palliative care is rapidly evolving to meet the needs of patients with serious illness, irrespective of the setting of care, prognosis, or patient population. And to support this evolving field, our profession is moving forward with updated guidelines. The goal of the 4th edition of the National Consensus Project (NCP) Clinical Practice Guidelines for Quality Palliative Care project is to improve access to quality palliative care for all in need, regardless of setting, diagnosis, prognosis, or age. To support health professionals across the continuum to achieve this goal, the NCP aims to formalize and delineate evidence-based processes and practices for the provision of safe and reliable high-quality palliative care for adults, children, and families with serious and/or chronic progressive illness in all care settings. 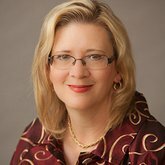 Building on the success of the NCP Clinical Practice Guidelines for Quality Care, 3rd Edition, this two-year project involves national stakeholder organizations, including representatives from a broad range of clinicians, care settings, accrediting bodies, payers, and community service organizations. Previous versions of the NCP guidelines were applicable across settings but were focused, as was the field, on specialist level palliative care within hospital and hospice settings. However, the new Guidelines will be broadened to encompass palliative care delivery by all clinicians caring for the seriously ill in all care settings. This broadening is supported by the growing body of evidence demonstrating the beneficial impact of palliative care on the triple aim of better patient and family experience, better quality of care, and better utilization of resources. Unlike hospital palliative care and hospice which are widely available in the United States, access to community-based palliative care is often unreliable. It should be available to all seriously ill patients and their families and caregivers, including children, without regard to prognosis, including those who are pursuing curative or life-prolonging treatments, in any care setting, and for any duration of time. Since community-based palliative care isn’t setting-specific, palliative care services should continue if a patient transitions to an acute, assisted, or long-term care setting, which would serve to improve continuity of care and ongoing care coordination. The goal of this 4th edition of the guidelines is to improve access to palliative care in all care settings by encouraging organizations and clinicians across the continuum to integrate palliative care principles and best practices into their routine patient assessment and care. Since palliative care should be available to any patient with a serious illness in any care setting, the potential audience for the 4th edition NCP Clinical Practice Guidelines for Quality Palliative Care publication (2018) not only includes specialty hospice and palliative care settings but also health systems, office practices, cancer centers, dialysis units, long-term care facilities, assisted living facilities, home health and hospice agencies, and other care providers. Social service agencies, prisons, homeless shelters, and other community organizations serving individuals with palliative care needs would also benefit from implementing the Guidelines in care of the seriously ill.
Additionally, payers, including Medicare Advantage plans, state offices of Medicaid, and health plans, are all exploring ways to pay for better access to quality community-based palliative care and are looking for guidelines to assist in developing palliative care reimbursement mechanisms linked to standardized and reliably high quality care. Currently, The Joint Commission and the Accreditation Commission for Health Care have community-based palliative care certification standards, both based upon the 2013 National Consensus Project Clinical Practice Guidelines. The new Guidelines would support accountability standards for palliative care across settings. Individuals and organizations developing and implementing quality measures for quality improvement or value-based payment will find clear elements of structure and process measures in the Guidelines. The goal of this 4th edition of the guidelines is to improve access to palliative care in all care settings by encouraging organizations and clinicians across the continuum to integrate palliative care principles and best practices into their routine patient assessment and care. 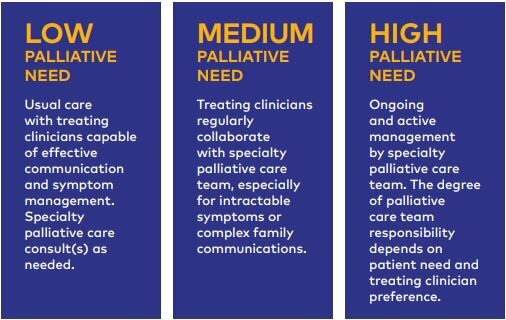 Most importantly, the goal of the Guidelines is to improve the care that patients and families receive by defining and driving access to high-quality palliative care in all care settings. It is our hope that the care people with serious illness, and their families, receive will meet or exceed the criteria set forth in the final document. A NCP Stakeholder Strategic Directions Summit was held in June 2017. 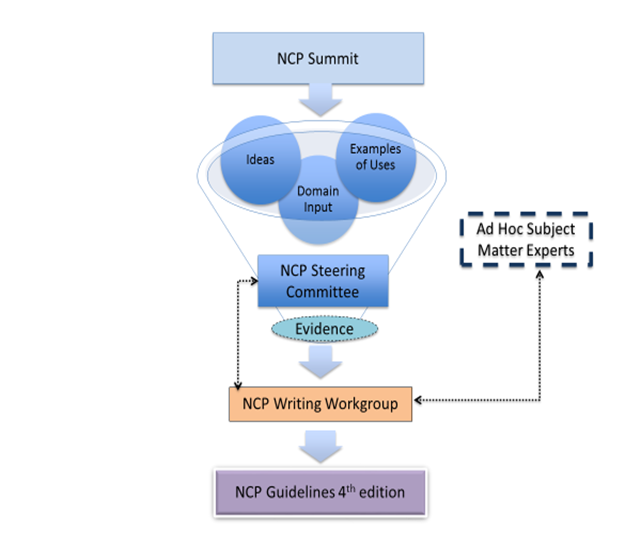 The NCP Steering Committee and the Writing Workgroup will now begin preparing the guidelines. The first draft will be completed by the end of the year, and the anticipated publication date is set for July 1, 2018.